Dar Al Uloom University (DAU) is a private university was established in 2008 after 2 years of experience in education by Dar Al Uloom Company to develop high highly qualified and competent students in their fields. 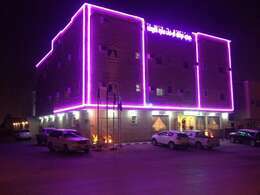 it is located at Al Mizan Street in Riyadh, and have more than 2500 students studying in many academic colleges like medicine, dentistry, law, business administration, architectural engineering and digital design , preparatory program.it has many scholarship programs like Dar Al Uloom Schools Scholarship Program and Ministry of Higher Education Scholarships and can apply for it by these steps, First the submission of the application, Second the demand by the university / college scrutiny, Third: the nomination of the request by the university / college, Fourth: acceptance by the Ministry of Higher Education, Announces the results of acceptance after the completion of the previous stages. DAU including additionally to the academic college there is centers and offices like Deanship of Admission Registration and Student Affairs, Central Library, Deanship of Continuing Education and Community Service, Deanship of graduate studies and research, information technology management, public relation and media.